If you have a blog that isn't getting much website traffic you've come to the right place. At Better Blogging Tips I'll show you how to develop your blog, how to write search engine friendly code and how to write quality content that engages your visitors. I'll help you increase user retention and increase your ROI. The time proven blogging tips and SEO tutorials you'll find here will help turn any site or blog into a real cash generating machine. 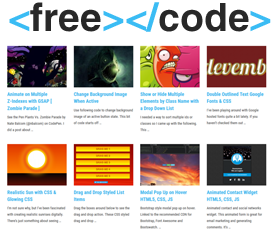 Make your website more user friendly and interactive with my free code tutorials and widgets.